Today’s global economy depends on compliance with known product safety requirements as a purchaser’s only third-party assurance of conformity. 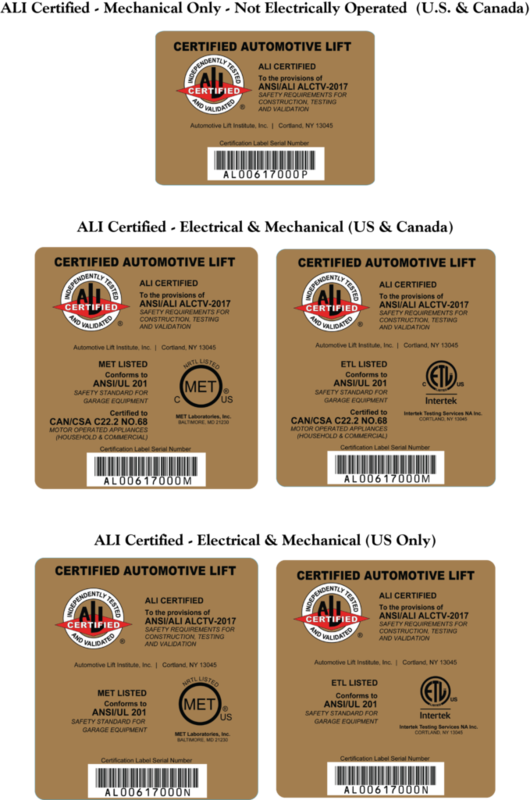 When purchasing a vehicle lift or specifying the requirements to support bid specifications, demand ALI’s gold certification label. Your safety is riding on it! Every current ALI certified lift model is listed in the ALI Directory of Certified Lifts. If it’s not listed, it’s not certified.